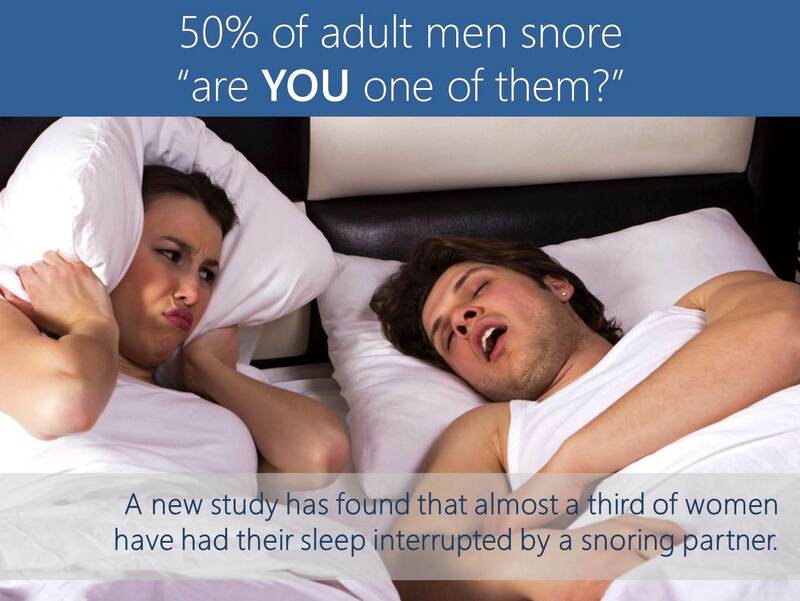 Half of adult men snore -- and many of them don't know they're also waking up several times a night with sleep apnea. Anatomy.. Anatomy.. It all has to do with our body's anatomy. The tongue falls back relatively easily, especially during deep sleep when our muscles relax and we are on our backs. Men’s voice boxes also drop lower in the neck, thus the lower pitched voices. The recess behind the tongue is larger which allows more space for the muscles and soft palate to relax, which causes the air pressure to push past this causing the soft tissue to flutter, thus the noise of snoring. When Snoring And Sleep Apnea Are Misdiagnosed! A proper diagnosis of obstructive sleep apnea may be delayed or missed because many people with sleep disorder do not even know they have a problem. Spouses and other family members or friends whose sleep is disrupted by a person with obstructive sleep apnea are often the first ones to realize that there is a problem. The anti-snoring mouthpiece or chin support strap can help in light obstructive sleep apnea, so it is always advised to have second opinion from a medical doctor especially if you suffer from severe daytime sleepiness, headaches and lack of concentration. Unfortunately, it is not uncommon for the person with obstructive sleep apnea to deny that there is an issue. This is because symptoms of obstructive sleep apnea, such as snoring may be believed to be harmless. Stop Snoring, Change Your Life! The Snore Eliminator mouthpiece is a clinically proven anti-snoring device which re-positions the lower jaw in a slightly forward position, it pulls the soft tissue and the tongue slightly forward opening the air way and preventing the vibration and noise we know as snoring. The Snore Eliminator chin strap assists in keeping the jaw and mouth closed, thus forcing the mouth snorer to breathe through the nasal passages. By simply changing from a mouth to a nasal breather, snoring can be decreased or completely eradicated beginning the first night! Additional benefit is it greatly reduces dry mouth/throat!